Home Living Green Buildings How Can Smart Cities Reduce Environmental Impact Using Eco-friendly building materials? As cities are turning into smart cities, planners and architects are exploring ways to add the eco-friendly factor to the urban setting. Apart from vehicles that contribute to increasing pollution, buildings are other significant contributors (20-50%). Within the environment, they exist as great consumers of natural resources including wood, metal, minerals, water and energy. Even more, they not just impact the atmospheric health but even human health. 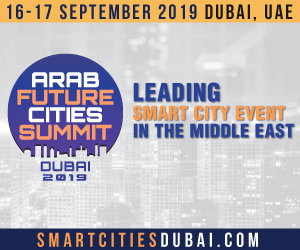 However, buildings can strategically be transformed into green solutions by incorporating green design, eco-friendly building materials, and construction methods. Among these, building materials play an imperative role. Eco-friendly or sustainable building materials should have a low environmental impact in terms of production, positioning, and maintenance. They need to be natural, durable, recyclable, and reusable. They should not get adversely affected by humidity, cold or heat. They should have capabilities to capture carbon dioxide and energy while reducing pollution. So, here are the top 6 eco-friendly building materials that smart cities can count on – strategically! Bamboo is one of the most eco-friendly building materials gaining popularity worldwide. Technically, bamboo is not a wood but a perennial grass found in most of the parts of the world excluding Europe and Antartica. Its uniqueness lies in its hollow composition that primarily adds to high strength-to-weight ratio. Incredibly, it has a high rate of self-generation with some species growing up to three feet in 24 hours. Another great advantage is that it continues growing and expanding quickly without the need to replant after harvest. Trees like pine and cedar take years to achieve maturity whereas bamboo can be reforested promptly. It is cheap and extremely durable and lightweight that makes working with it easy. Even transporting the material is much sustainable than other building materials. It has much greater compressive strength than many other building materials like brick and concrete. Application – The high tensile strength makes it an ideal choice to be used in walls, cabinetry, and flooring. It can also be used as wall screens and mats. In fact, bamboo is used to make durable furniture resistant to damage. Downside – Untreated bamboo contains starch that attracts insects. Hence, before application bamboo needs to be treated to make it resistant to insects and rot. Its water absorbing capacity can make it swell and crack. So, it needs to be dried out and treated with certain chemicals. Cork is the outer layer of the bark of the Quercus suber (the cork oak). 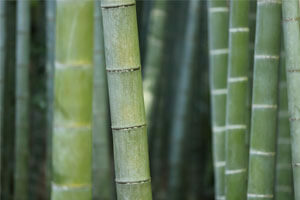 It is a buoyant material that has a growing capacity similar to bamboo. As it is tree bark, it can be easily harvested from a living tree while allowing it to grow and reproduce – saving tree lovers from the deforestation guilt. To talk about its characteristics, cork is a flexible and resilient meaning that it can regain its original shape after sustaining pressure. The material is impermeable hence it does not absorb water or rot, it can become brittle over time, though. It is naturally fire resistant and good thermal insulator. It does not release toxic gases when it burns. Cork is mainly found in the Mediterranean so shipping costs can be high. Nevertheless, due to its lightweight, it requires less energy to ship thus restoring its embodied energy score. Application – Its resilience and resistance make it viable to be used as floor tiles. Its noise absorption capabilities make it ideal for insulation sheets, acoustic wall covering and countertops. The shock absorbing abilities are well-suited for sub-flooring. Downside – Cork is soft in nature so it can get damaged easily. It needs to be padded before application. It also needs to be covered with sealants to protect from water stains. Cork gets faded easily when exposed to sunlight. Reclaimed or recycled wood has a much lower environmental impact than harvesting new timber. Reusing wood curbs down its embodied energy which also results due to lightweight. Most of them are dense in nature which adds to durability over time. Since centuries, wood is being used to construct buildings. Wood can be recovered from not-in-use buildings and recycled to construct new structures. This process is easier and more sustainable than harvesting new wood. Application – Recycled wood can be used for multiple building purposes such as structural framing, flooring, exposed beams, furniture, siding etc. Downside – Wood has less strength so it needs to be assessed in terms of integrity depending on the application. Most of the woods are susceptible to insects and degradation hence each recovered piece needs to be reinforced taking appropriate measures. Metals like aluminium and steel are high embodied energy materials as a considerable amount of energy is required in extracted them via mining process, heating, shaping, and transporting the comparatively heavy materials. However, each time the metals are appropriately and efficiently recycled and reused, its embodied energy lowers and makes it more sustainable. For example, recycling reduces 75% of the energy costs utilised in manufacturing new steel. Reclaimed steel from six junked cars is enough to construct a 2000-square-foot house. In fact, reclaimed metals like plumbing components can often be used in the existing forms rather than having to be recycled. Recycle metal is durable and prevents the need for frequent replacement. It is also resistant to water and pests. 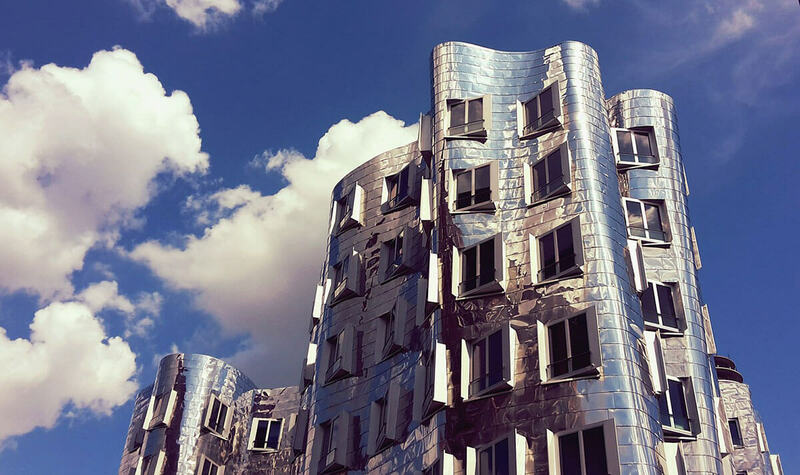 Application – Recycled metals do not burn or warp, hence they are feasible to be used for roofing, structural support, and building facades. Downside – Metals can easily get damaged due to corrosion hence, it needs to be coated before application. Some metals have less strength hence they get easily fatigued. Concrete is one of the best eco-friendly building materials if recycled it can provide sustainable benefits. However, precast concrete is more eco-friendlier than the recycled version. Precast one is poured into pre-made moulds over rebar or wire and then cured. Once it hardens, it can be directly shipped in whole sections to constructions sites. Therefore, precast concrete achieves better sustainability by consuming less energy to produce and assemble. Also, it is better in terms of cost than new or recycled counterparts. The outer layers of precast concrete enwrap a lightweight filler. Other types are fully made up of concrete with huge hollow air spaces such as in concrete blocks. Concrete is excellent when it comes to controlling heat within a building. It withstands all the elements well. Overall, it is a highly affordable building material. Application – Precast concrete slabs are widely used for building facades, walls. Certain types can also be used for floors, flat roofs, and roof decks. Downside – Inappropriate curing of precast concrete can result in cracks and structural faults within the material. Hence, it is very important to take care of the procedure as in the worst cases the building may have to be demolished and reconstructed. Because sheep wool is a natural insulator, it is better than generally used fibreglass insulation or polyurethane spray foam. Unlike straw, the material does not degrade fast. 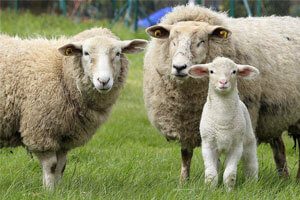 Sheep’s wool regenerates faster than other natural insulators like cotton. Hence, it can be harvested more easily. Application – The insulating property of sheep wool is an energy-efficient option to be used in walls, ceilings, and attics. Downside – Sheep wool is not the most affordable insulator. Yet, it is often used as a solution by people who can pay a little bit more for sustainability. Considering the worldwide availability of the top 6 eco-friendly building materials, we can deduce that these materials are adequate to retrofit the existing buildings or build new ones in smart cities.